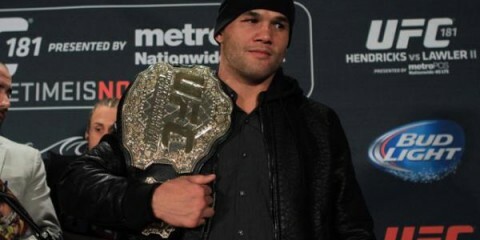 Does the UFC Need to Promote Its Champions Better? Name two champions from different divisions who you’d like to see fight each other. If you’re a Russian MMA fan, your answer might include the two men who have been paired in the M-1 Challenge 57 headliner. In one corner, there’s the promotion’s heavyweight champion, Marcin Tybura. In the other corner stands the company’s light heavyweight kingpin, Stephan Puetz. The 29-year-old Tybura enters the contest with an undefeated mark through 12 pro fights. He started his career in 2011 and quickly reeled off three wins within an eight-day stretch. His competition since late 2013 has been tough, featuring the likes of Konstantin Gluhov, Maro Perak, Damian Grabowski and Denis Smoldarev. Tybura finished three of those men in the first round and the fourth man, Perak, in the third round. The 2013 M-1 Heavyweight Grand Prix winner hails from Poland and trains out of the United Gym. He is a decorated Brazilian Jiu-Jitsu practitioner who has scored six submission victories to go along with four TKO finishes. Tybura claimed the M-1 heavyweight crown with his win over Grabowski and defended it with the victory over Smoldarev. The 6-foot-6 Puetz may be the taller man by three inches, but he’s actually the smaller of the two men. Puetz has competed as a light heavyweight thus far in his career, and he has a Respect FC championship and the M-1 belt to show for his efforts. The 28-year-old German has fought a number of fighters who possess winning records. He stepped up to claim the M-1 crown with a split decision over Viktor Nemkov, and he followed his title win with a pair of title defenses against prospects Luis Fernando Miranda and Valery Myasnikov. Puetz silenced both title challengers with second-round stoppages. The Team MMA Spirit fighter has a background in judo and a record that includes four submission wins and five victories by TKO. By pairing two of its dominant champions, M-1 has produced one of its most intriguing fights in recent memory. However, it also seems like a case of feeding a smaller champion to a larger one. Tybura has been a beast throughout his run in the promotion, and he doesn’t appear to be slowing down. 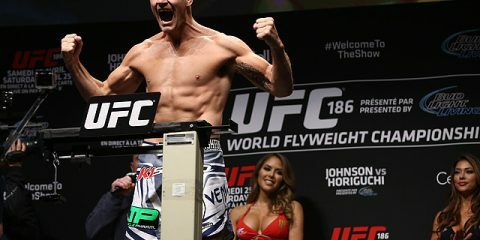 He may give up three inches in height, but he tends to tip the scales at just under 250 pounds and should therefore be the bigger fighter. He’s also a quick finisher, whereas Puetz tends to take longer to put opponents away. Puetz is going to struggle to keep this fight on the feet. He’ll struggle with the size and strength of Tybura, and if the fight hits the ground, he’ll be outclassed by the decorated grappler. Tybura has demonstrated an ability to put away even the best of prospects in his own division, and now he’s being matched with a fighter from the division below his own weight class. Tybura should continue his string of first-round finishes with a quick submission of Puetz. It’s rare that a fight featuring a debuting pro finds its way into this feature’s previewed fights, but Road FC has the rare honor of bringing forth a compelling match-up of veteran against rookie as part of its 23rd event. 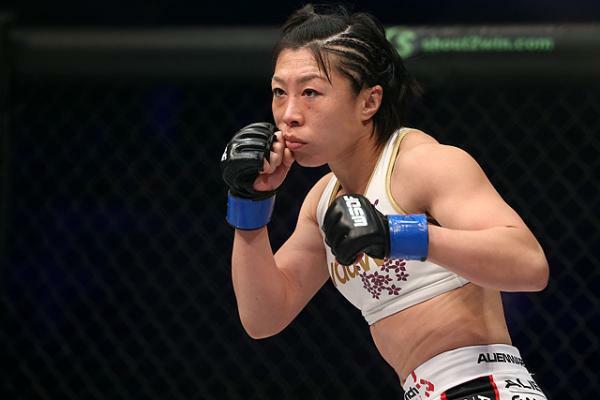 The women’s strawweight clash features 23-fight veteran Emi Fujino, who welcomes late-replacement rookie competitor Jeong-Eun Park to the world of professional mixed martial arts. Park steps in for the injured Hyo-Kyung Song, potentially giving Fujino an upgrade in opponents. Song was just 1-5 and had already suffered a loss to Fujino. Park, meanwhile, has gone 3-0 as an amateur under the Road FC Central League banner. Park is a sambo practitioner who competed as a member the Sambo National Team and claimed bronze at the 2014 Asian Games. She has also seen action in the realm of kickboxing, where she holds a 9-1 mark. Fujino has been competing in MMA for more than a decade. The 34-year-old shot out to a 7-0 start, culminating in a split decision victory over Mei Yamaguchi. She fell on hard times, however, and dropped four straight decisions, including a loss in a rematch with Yamaguchi. It’s been an up-and-down road from there. Fujino hasn’t managed another extending winning streak, but her only losses came to the likes of elite fighters Megumi Fujii, Ayaka Hamasaki, Mizuki Inoue and Jessica Aguilar. The Wajutsu Keishukai GODS product has also seen action in kickboxing and shoot boxing, but found limited success. She has gone the distance on 17 occasions as a mixed martial artist. Her remaining fights all ended in submission wins. Despite Park’s background in other combat sports, she’s going to be a severe underdog against someone with the experience and success rate of Fujino. Fujino has gone years without suffering a loss to anyone but the very best in the world. She has also handed out defeats to far better fighters than Park, including Emi Tomimatsu, Mika Nagano, Celine Haga and the aforementioned Yamaguchi. Park’s sambo background and kickboxing skills might allow her to turn this into a competitive fight — and entering the fight on such short notice creates the possibility of a stunning upset — but she’s going to have a hard time keeping up with the seasoned veteran. Fujino has a bad habit of leaving the fight in the hands of the judges, but this is one contest where she should be able to capitalize on her opponent’s lack of experience and take a submission victory. The 125- and 145-pound titles are up for grabs, and the lineup features legends Takeshi “Lion” Inoue and Mamoru Yamaguchi in separate bouts, but we’ll turn our eyes to the latest Shooto card’s only significant undefeated prospect, Ken Asuka. The strawweight puts his unblemished record on the line against 17-fight veteran Junji Ito at the Mobstyles 15th Anniversary Tour Fight and Mosh. Asuka, who is also known as Ryohei Kurosawa, was the 2013 Shooto Flyweight (115-pound) Rookie Tournament champion. He started his pro career in late 2012 with one fight under the Gladiator banner before joining Shooto. Asuka has a TKO, a knockout and a submission on his resume, but the majority of his fights have gone the two-round distance. The Paraestra Matsudo product is a young fighter — he turns 22 just a week after his fight — and a top candidate for inclusion if UFC President Dana White ever adds a male strawweight division to the UFC roster. Ito has been fighting professionally since 2007. The 28-year-old trains out of Shooting Gym Yokohama. He is a knockout artist who has finished seven of his opponents with his fists. 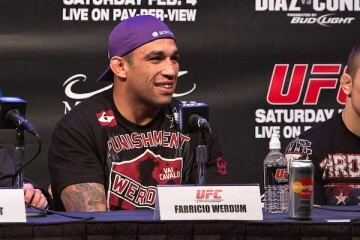 He also has one submission victory. Ito’s submission defense might be his biggest weakness. Two of his submission defeats came in Shooto title challenges, where he fell to Mikihito Yamagami and Shinya Murofushi. Asuka has been a grinder throughout his career, whereas Ito has demonstrated impressive power for a 115-pound fighter. Asuka hasn’t fallen victim to a defeat yet in his career, but he has also met a line of fighters who are grapplers. Ito will be the first knockout artist to challenge Asuka, a fighter on the cusp of his own Shooto strawweight title shot. It’ll be an excellent test of Asuka’s chin, but it’s a test he should pass. Asuka probably won’t score the finish, but he will notch the win on the scorecards.